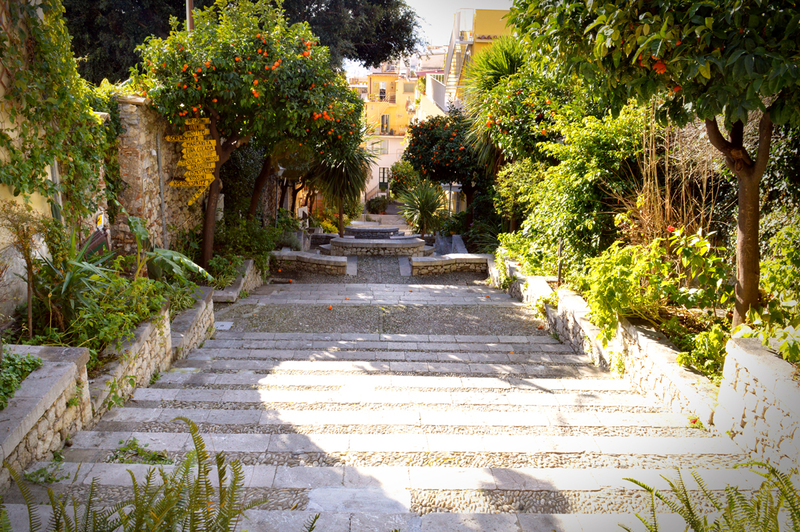 The area of the Byzantine tombs of Taormina. The ground plan of the baths does not appear to follow the canonical axial type. Roman representations of naval battles. The so-called Naumachia is a large building made up of a brick wall. The Palace Badia Vecchia, which now houses the Archaeological Museum of Taormina, dates from the fourteenth century. This was built around 1400 on the ruins of an ancient Church. The Clock Tower was destroyed several times and always rebuilt to arrive in all its beauty to this day.